And the randomly chosen winner is...@mrgnyc! Congratulations for winning the print! IT'S AN ELLO ART GIVEAWAY! 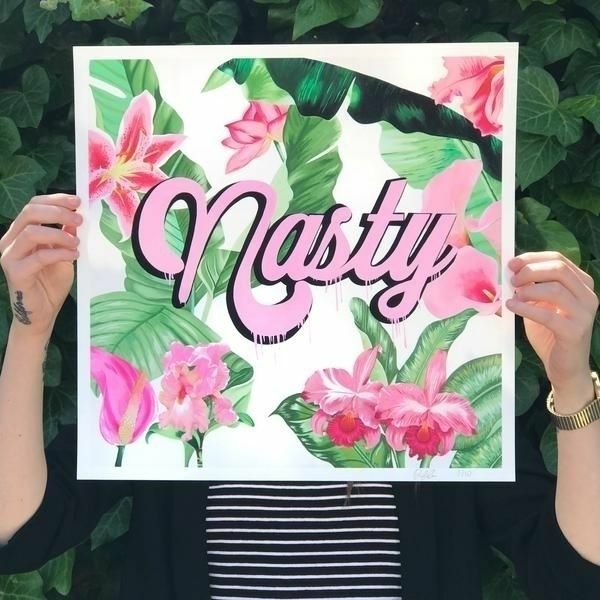 I'm excited to announce that @ello / @elloartgiveaways is giving away one print, "Nasty" as seen from my recent Pleasure Paradox show! Hand signed and numbered, will be one out of the limited edition of 10. 16"x16"/40.64 cm x 40.64 cm. To enter for your chance to win, please leave a comment on this post from today, Tuesday, May 22th - Thursday, May 24th. The winner will be contacted by @elloartgiveaways after the giveaway is closed. Good luck, and thank you @ello/@elloartgiveaways! !